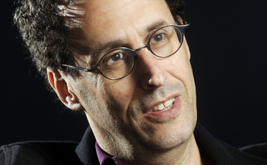 Tony Kushner’s most recent work includes the new play The Intelligent Homosexual’s Guide to Capitalism and Socialism With a Key to the Scriptures; an opera with composer Jeanine Tesori, A Blizzard on Marblehead Neck; and the screenplay for Steven Spielberg’s film Lincoln, coming next fall to a theater near you. Citizenship is not just a duty. It’s a blessing, a gift handed down by generations of forebears. Dozens of Israeli theater artists are refusing to perform in the West Bank settlement of Ariel. Now they’ve been joined by hundreds of artists and scholars from both Israel and America. On Caryl Churchill's Seven Jewish Children: A Play for Gaza. The politics of a progressive playwright. A Word to Graduates: Organize! It's boring but do it, says the playwright. Otherwise, you allow evil to settle in. New York City Mayor Rudolph Giuliani has created enormous consternation and publicity in his attempts to censor an exhibition at the Brooklyn Museum of Art. 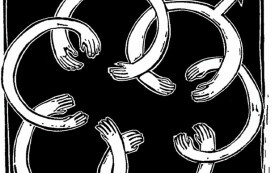 Our suffering teaches us solidarity; or it should.